Hannah Jayanti is a documentary filmmaker, dedicated to transforming the way we listen through the art of nonfiction. In her current work she lives in a place for months, filming by herself and giving voice to the smaller stories that surround us. 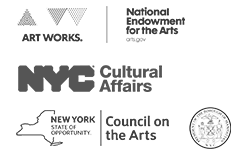 Recent support includes: Tribeca Film Institute, New York State Council on the Arts, Jerome Foundation, Points North Institute, Catapult Film, True/False, Cinereach, Tribeca New Media Fund, Jacob Burns Film Center, Puffin Foundation, Mid Atlantic Arts Foundation. She’s passionate about making filmmaking accessible and teaches free and low cost media classes to the Brooklyn and NYC community. She’s honored to be a 2018 NYSCA/NYFA Artist Fellow in Video/Film from The New York Foundation for the Arts. More at www.hannahjayanti.com.